Meet your friendly tour operator: my name is Lascells Broderick and I am a man of the soil with over 10 years of tour operating experience. Here is my top 15 things to do in Jamaica. Each activity is unique and none is really better than the other, so you will just have to try them all and see for yourself! Satisfaction guaranteed! Depending on the type of persons I am catering to, I sometimes have to choose the tours for my guest. Some Travellers are adventurous while others are very laid-back, therefore the right choice of tours are very essential for the guaranteed satisfaction. All tours that are listed below can be customized to suit your needs; however this depends on whether you are a hotel guest or coming on a cruise ship. For the cruise ship visitors, time is very important, this is where my experience comes to the forefront and I will be able to help you to make the right choice. Groups are always welcome and group rates are always available. 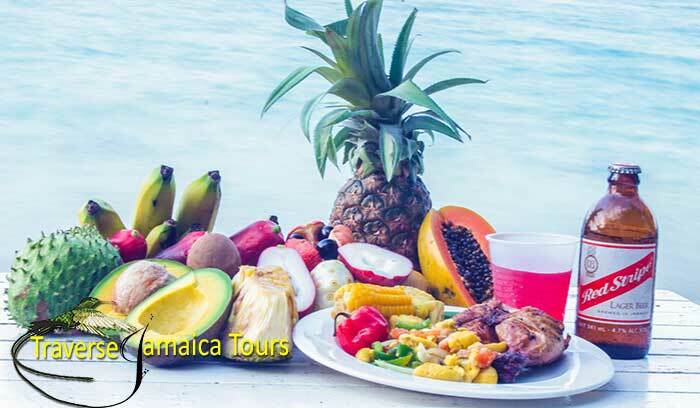 This tour will gives visitors to Jamaica a chance to see, smell and taste our fruits in season, learn to make and taste our Authentic Jerk Chicken, enjoy the beach with some Rum Punch and a Red Stripe Beer. 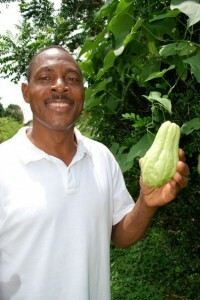 Our taste of Jamaica tour is recommended on TripAdvisor and is the number one thing to do in Ocho Rios. 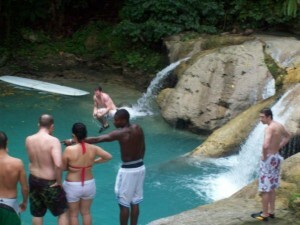 Jamaica’s premier natural attraction and #1 thing to do in Jamaica, Dunn’s River Falls is suitable for all ages. The brave hearted can climb (alone or with a guide) to the top of the falls and back down via the stairs. The more reserved visitors can do the equally scenic but less strenuous “stairs route”. 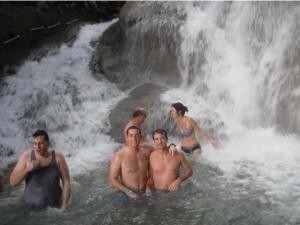 After that climb to the top of the falls, you will be rejuvenated, guaranteed! Go rafting and/or tubing on the White River, Ocho Rios: Down, down, down the river and through the curves and turns of the lush forest you will go until you come to a stop – almost where the river meets the sea, just over a hundred meters away. This attraction is less strenuous than climbing Dunn’s River Falls but it will still be fun, fun, fun! Guaranteed! 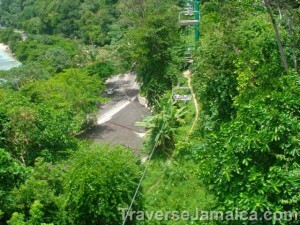 Canopy tour: For this Jamaica tour, the sky explorer takes you to the top of the mountain where you will get a breathtaking view of the coastline and mountain. What to do on top of the mountain? You can try our local variation of bobsledding down the mountain or zip line from tree to tree, enjoy the Jacuzzi or water slide, browse the gift shop or enjoy a sumptuous Jamaica meal at the restaurant and bar. Either way, it’ll be fun! For the young and young at heart! 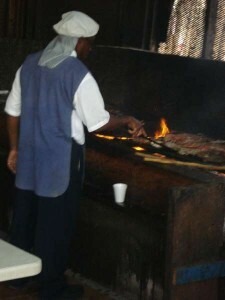 Rick’s Café is located at the end of Negril’s seven mile white sand beach and it is the best thing to do in Negril. 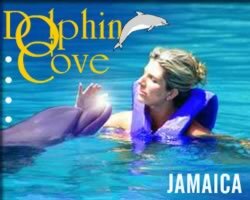 This Jamaica tour will allow you to enjoy an evening of fine dining, an awesome and incomparable sunset and some of the most daring cliff diving you will ever see! You can even dare the dive yourself. For the brave at heart. Put this on your list of things to do in Jamaica: Caution prescribed! Lover’s Leap got its name from a sad story of two lovers who tragically ended their lives by jumping off the steep cliff. The Lover’s Leap Jamaica tour offers visitors a seemingly never-ending scintillating view of the horizon as they dine in fine style, 1000 feet above sea level. YS Falls is one of the gems of the island’s south coast. The YS Falls Jamaica tour offers a refreshing waterfall to explore or just to cool off during the heat of the day as well as a canopy tour. 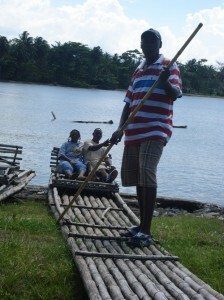 The Black River guided boat ride takes you up the river where you can see and take pictures of the flora and fauna of the safari as well as the friendly, curious, spectator crocodiles. Not to be confused with Ocho Rios on the north coast, Little Ochi is the place to dine on Jamaica’s south coast. This tranquil fishing village is the place to savour the tastiest sea food (which you get to choose for yourselves), watch the waves crashing in and the fisher folk selling their day’s catch. 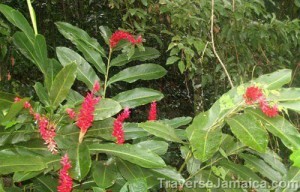 Prospect Plantation This historic Jamaica tour, Prospect Plantation – east of Ocho Rios – is one of the original plantations owned by the wealthy Lord Mansfield in its hay day. On this jitney tour you will be given a firsthand knowledge of what this plantation was like back in its days. There is now the added feature of seeing camels and ostriches. Guests can actually choose to ride on the camels! 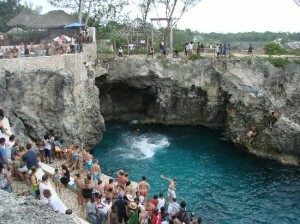 ​The luminous lagoon and Glistening water is one of the natural wonders of Jamaica. Just imagine yourself jumping into the water and seeing the water glow blue when shaken in total darkness – surrounded by mangroves! This is something worth doing. 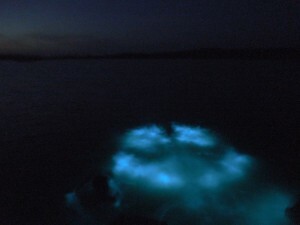 Visitors take a boat ride to where they can enjoy a swim in the warm waters at a depth of 4 to 5 feet (1.5 meters), where simply waving your hands and feet creates a phenomenon: seeing mysterious light illuminating the water below the surface. After all this, you will be taken to see hundreds of birds asleep in the mangroves around the Lagoon, enjoy dinner at the restaurant and drinks at the Lagoon bar. This Jamaica tour should be on the TOP of your list of things to do in Jamaica.